Do you wonder what a cool roof is? What makes field-applied coatings cool? What benefits they provide? 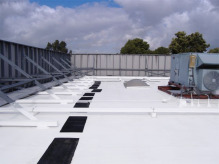 Learn all this and more when you download our FREE Guide to Roof Coatings.